Indianapolis has been home to the American Legion since 1919 and is the Amateur Sports Capital of the World. 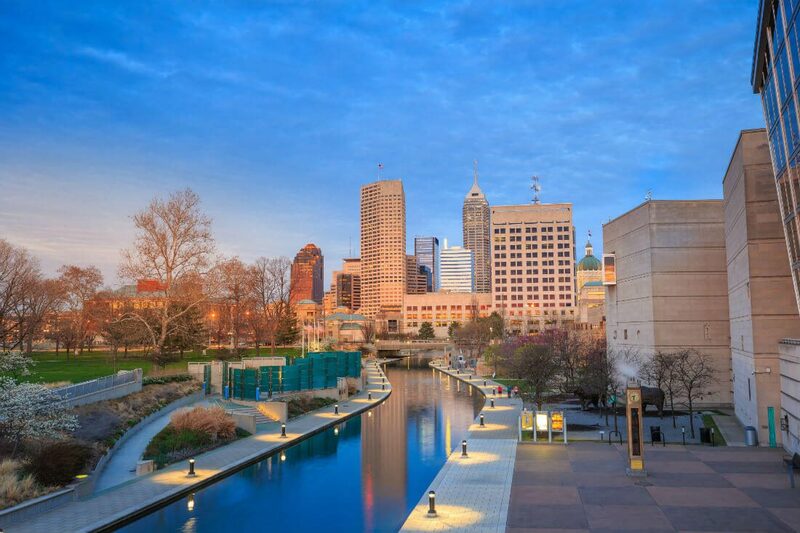 The Central Canal is a 3-mile loop that flows by the Indiana State Museum, Victory Field, the Indianapolis Zoo and the 250-acre White River State Park, among other popular attractions. The Indiana World War Memorial pays homage to the Indiana men killed in World War I, World War II, Korea, and Vietnam. Visit the Indianapolis Motor Speedway Hall of Fame Museum with one of the world’s largest and most varied collections of racing, classic, and antique passenger cars. Tour Conner Prairie, a living history museum and re-created 1836 pioneer village. The Indianapolis Children’s Museum is the largest Children’s Museum is the world and features 12 outside sports experiences and 3 indoor exhibits encompassing physical fitness and awe-inspiring sports history.